Oaklands Golf Club is a 6,300 yard course and has challenged both locals and tourists alike on its course that prides itself on the highly maintained fairways and greens. Oaklands Golf Club is a 6,300 yard course and has found the right balance in creating a course that is challenging enough for the best golfer, yet satisfying to let a new player finish a full round. Many of the fairways at Oaklands are on the narrow side and water comes into play on a few. 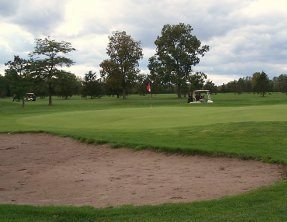 Throughout the course Oaklands Golf Course prides itself on fairways and greens being in great shape, all of the time. The on-site driving range offers a choice of two levels and features natural turf, allowing you to practice on similiar conditions to the course.